Its Saturday morning as I'm writing this and Apple's keynote on Monday is just over 48 hours away. What's going to happen? Honestly, I don't know and I like it that way. Far too much has been leaked (thanks Mark Gurman) and its taken a lot of the mystery out of the keynotes. The less you know, or more likely think you know, the more the Keynote stands on its own merit and isn't bogged down on unrealistic expectations. I like being pleasantly surprised. That said, someone will be announced, its a developer's conference. I have some thoughts on that. WWDC 2014 was HUGE both iOS and OS X. They both got a healthy helping of new features. It would be very surprising to me if that were to happen again. With Android M, which followed Android Lollipop which also was a huge update to the platform, you saw a few more features, and a lot of tweaks. If I was a betting man, that's what I venture will happen with iOS 9 and OS X 10.11. You already have all the features we want, most of them at least, but its time to implement them better. Some features could be done better, some great features (like third party keyboards on iOS), don't work as well as you'd like. Then there's Siri, IF Apple was ever going to open up a Siri API to developers, now could be a good time. This is just my own opinion, but iOS is a mature platform with mature apps now, would it me too much to ask for being able to choose third party browsers, email clients, and maps apps as default? For OS X... I got nothing, it works pretty much exactly as I want it to. I wouldn't expect any iOS or Mac hardware at this point. Tools to create native apps for the Apple Watch are a near certainty. Apple has heavily hinted as much. The current paradigm of iPhone connected apps was always a temporary solution. Native have should bring speed improvements. We should also see feature improvements and improvements in the next version of Watch OS whether its version 1.1 or 2.0 or whatever. The Apple Watch is far too important to ignore and developers are as anxious to see what it can do as the consumers. Maps has been a bit of a disappointment since launch. Its a bit slow, lacking features like transit information, and the mapping information has been way behind. While there are iOS and Mac apps, its also missing a web version. If Apple were to make Maps a competitive product, no time would be better than the present. The new Google Maps, at lest in the web form, is a little bloated so there could be an opening here for Apple if they can do transit and such a bit better. It would also be an opportunity to turn a black eye into a strength. Spotify has shaken up the music landscape with its all you can eat music service almost as much as Apple did back in the day. Digital sales are going down and streaming revenue is going up. I've said this before, Apple didn't spend $3 billion on a major executive like Jimmy Iovine so they could just sell headphones. Beats has its following, but Iovine's insider knowledge and contacts in the recording industry is worth a lot. And that's to say nothing about Andre "Dr. Dre" Young, Luke Wood, and Trent Reznor. There's been a lot of rumors and so far Apple has been very hands off with the Beats Music streaming service. That could change in a big way come this WWDC. Apple would have to give something to the record industry that Spotify isn't, but if there's a big Beats Music relaunch, it won't be an also ran. That's what Beats basically is now. I've been licking my lips for a new Apple since the Amazon Fire TV was released last year. It took the concept of the AppleTV, gave it more way power, powerful voice search capability and turned it into a a Micro-console running full screen Android apps. Ever since its been well received by both critic and consumer alike. Its what I wished the Apple TV could be, but isn't. Google also introduced a similar concept in mainstream Android called Android TV. There's been a lot of interesting Android TV devices. Yeah, I want an AppleTV with Siri, a better remote, game support, and so on. I admit that fully. If you read too much into the WWDC invite, there's reason for a bit of hope. 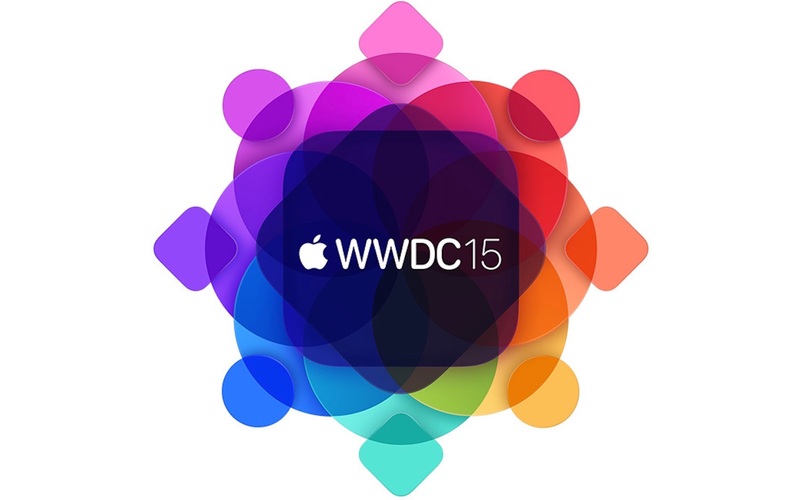 Apple is known for clues in its invitations and the colored rectangles do look a lot like an AppleTV. There's also been some talk of Apple doing its own IPTV service similar to SlingTV. But at the same time there's a report from Brian X. Chen of the New York times that the Apple TV has been pulled from the Keynote because it wasn't quite ready. Rumors and reports are something that should all treated with a hefty grain of salt, but even if there's no hardware, I have to wonder if we could see an AppleTV kit to give devs and content providers a heads up. As for a 4th generation Apple TV, even if its not Monday should show up sooner rather than later. The mythical IPTV service and new hardware would be more than enough for their own event. If you're looking for the Apple TV... TV, Gene Munster doesn't even believe in that anymore. Time to move on.